It’s that time of the year in Nashville where rain and snow pile up on your roof. If you notice any damage to your roof, you may want to check to see if your drip edges are correctly installed, or even if you have them. Many older homes may not have a drip edge installed on their roof. If you have a house that doesn’t have gutters, it is also likely you don’t have a drip edge either. This can lead to some major problems. If you are looking for a trusted roofing contractor to take care of your drip edges, look no further than your Top Rated Local® Tim Leeper Roofing. Whether you need a small or large repair, we are happy to handle all of your roofing needs. We can also provide you with a free, fast quote on any repairs you may need done. Visit our website or give us a call if you have any questions at 615-553-2782. 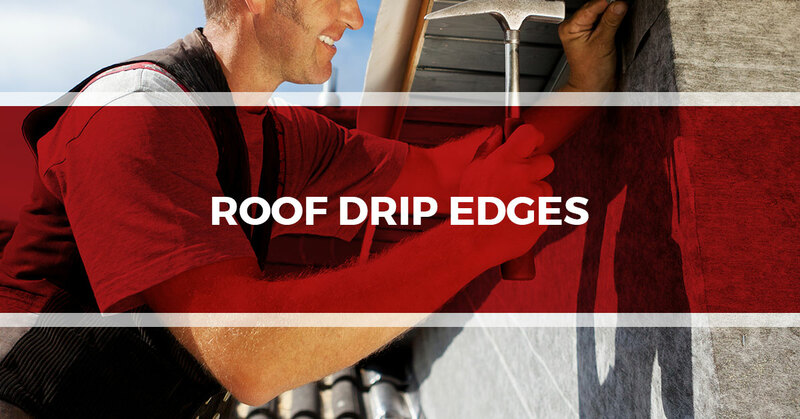 Drip edges are an often neglected component of your home’s roof. Drip edges are made of a durable, non-staining material. The drip edges are designed to direct water away from the rest of the roof and are usually placed directly between the sheathing and the fascia board. When it rains or snows, if the drip edge is placed properly, all of the water should be safely funneled away from the roof and the side of the house. The drip edge also has the added benefit of protecting the roof from a whole host of issues, such as windstorms, pest infestation, and erosion to your property. By providing a barrier between the sheathing and the fascia board, the drip edges protect vulnerable areas from pest infestations such as rats, mice, squirrels, and termites. Hemmed drip edges are a standard type of drip edge that deters water from moving upward passing the drip edge metal. The alternative to a hemmed drip edge is the L drip edge which is used for low incline roofs. These drip edges also sit on top of the fascia board. The installation of the drip edge depends on the type of drip edge you choose to protect your house with. One of the most important parts, however, is to make sure that there is no gap between the drip edge and the gutter system. If there is a gap, this results in a back flowing gutter, which leads to water dripping down the side of your home and roofing system. If you are in the Nashville area and are looking for a trusted roofer to take care of your drip edge needs, call Tim Leeper Roofing at 615-553-2782. Whether you need a few shingles replaced, a drip edge installed, or an entire re-roof done, we are happy to help you and your roof. Our trusted roofing contractors can get the job done quickly and effectively. Don’t hesitate to get work done on your roof — call or visit our website today.